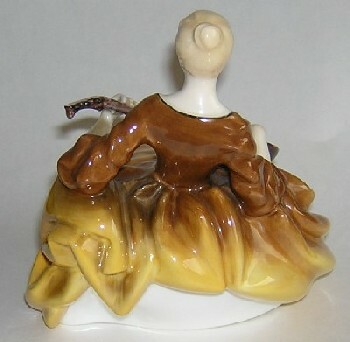 ITEM R63 - Royal Doulton Figurine HN2287 Symphony, 1961-1965. 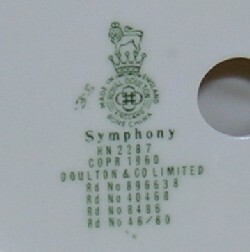 Royal Doulton figurine Symphony HN2287 made between 1961-1965. 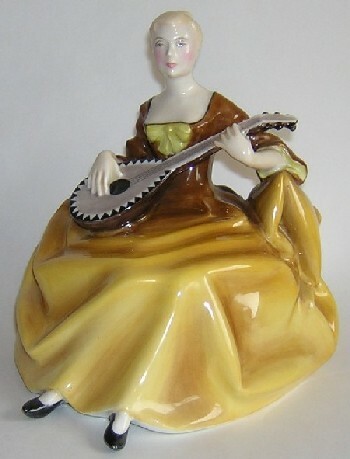 She is wearing a caramel brown dress. Condition: Excellent - no cracks, chips, hairlines or restoration.